Jacqlyn C. “Jackie” Prestley lived her life around her sons, her boys were her passion. Jackie was involved with the JDRF to support her son, Ben, who has type 1 diabetes. 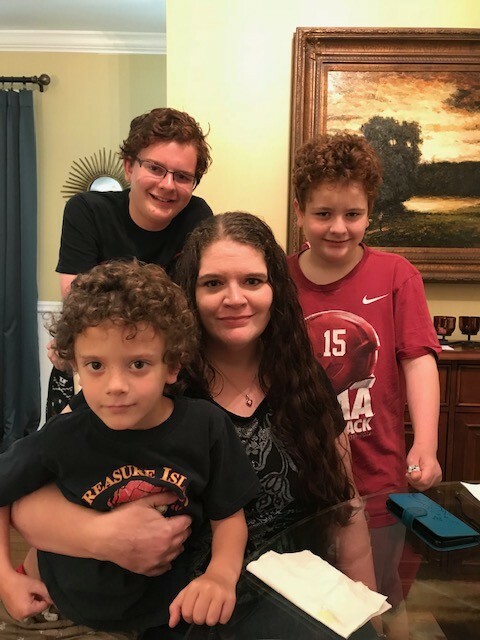 Jackie is survived by her mother, Karen Dill; father, Jacky Prestley; sons, Benjamin Harwell, Clay Harwell and Caleb Harwell and brother, Mark Prestley. A Celebration of Life will be on Tuesday, October 23, 2018 from 5:00 pm until 7:00 pm at the chapel of Crestview Memorial Funeral Home.